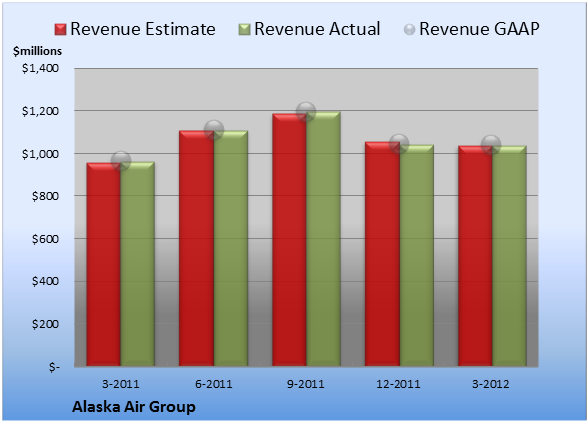 Alaska Air Group (NYS: ALK) reported earnings on April 19. Here are the numbers you need to know. For the quarter ended March 31 (Q1), Alaska Air Group met expectations on revenues and beat expectations on earnings per share. Compared to the prior-year quarter, revenue grew and GAAP earnings per share contracted significantly. Alaska Air Group chalked up revenue of $1.04 billion. The eight analysts polled by S&P Capital IQ anticipated a top line of $1.04 billion on the same basis. GAAP reported sales were 7.7% higher than the prior-year quarter's $965.2 million. 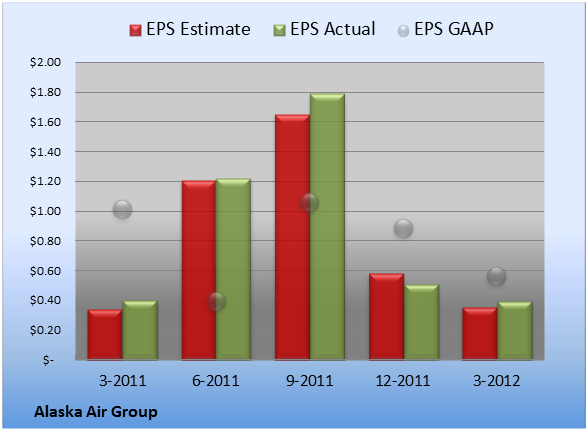 Non-GAAP EPS came in at $0.39. The 12 earnings estimates compiled by S&P Capital IQ predicted $0.35 per share on the same basis. GAAP EPS of $0.56 for Q1 were 45% lower than the prior-year quarter's $1.01 per share. For the quarter, gross margin was 23.3%, 830 basis points worse than the prior-year quarter. Operating margin was 7.0%, 790 basis points worse than the prior-year quarter. Net margin was 3.9%, 380 basis points worse than the prior-year quarter.  Next quarter's average estimate for revenue is $1.20 billion. On the bottom line, the average EPS estimate is $1.42. Next year's average estimate for revenue is $4.66 billion. The average EPS estimate is $4.60. Of Wall Street recommendations tracked by S&P Capital IQ, the average opinion on Alaska Air Group is outperform, with an average price target of $44.96. Over the decades, small-cap stocks, like Alaska Air Group have provided market-beating returns, provided they're value priced and have solid businesses.  Read about a pair of companies with a lock on their markets in "Too Small to Fail: Two Small Caps the Government Won't Let Go Broke." Click here for instant access to this free report. Add Alaska Air Group to My Watchlist.